Crete is a spectacular Greek island brimming with history, culture and natural beauty. One of the biggest draw cards for visitors to this large island is the magnificent white sandy beaches and clear blue waters. While you may enjoy heading down the beach close to your hotel while staying on the island, you may find it’s overcrowded, not giving you much room to enjoy your quiet family time and relax and rejuvenate yourself before you head home. Crete has no shortage of beautiful secluded beaches, all of which are easily accessible when you hire a car to enjoy your independence and spend the day relaxing on the white sands and swimming in the cool blue waters. Frangokastello Beach can be found on the south coast. There are actually three beaches in the area with a long sandy beach located just in front of the castle with clear waters, but it’s the Orthi Ammos beach, which is about ten minutes from the castle that is the one that is quiet and secluded, surrounded by sand dunes. This beach is a great opportunity if you want to soak up the sun, paddle in the clear waters and just enjoy some peace of quiet while staying on the island. Kiani Akti Beach is a sandy beach in Souda Bay in Chania. While this is a popular beach complete with all the facilities you need, it is an exceptionally large beach. The size of the beach is what makes it such a top choice when you don’t want to spend your afternoon sitting right next to some stranger. It’s easy to find your own piece of paradise on this large beach where you can relax with a book or just enjoy the beauty of the surrounding area. Bali in Crete is a magnificent paradise which is easily accessible when you have your own transport. Only an hour from Heraklion and an hour and a half from Chania, this spectacular pebbled beach is the perfect place to spend a relaxing afternoon. Kastelli Beach is located west of Chania. It is a long and secluded beach with small pebbles and sand. It is the ideal place to sit and enjoy a quiet picnic or have some family fun without the hustle and bustle of the crowds. Milatos Beach is a little hidden gem. Milatos is a fishing village in the Lassithi area. This beach is a small and secluded beach which you access by following the dirt track from the main beach. Because it’s so hidden and a short walk, it is quiet and secluded. The perfect setting for a quiet day in Crete. If you’re looking for seclusion, quiet and beauty then you have to make your way to Zakros Beach. Located in the east of Lassithi area, this clean, natural and pebbled beach is a secret of its own. Totally uncrowded, it is a popular choice for those looking for some relaxation, rejuvenation and quiet while on the island. 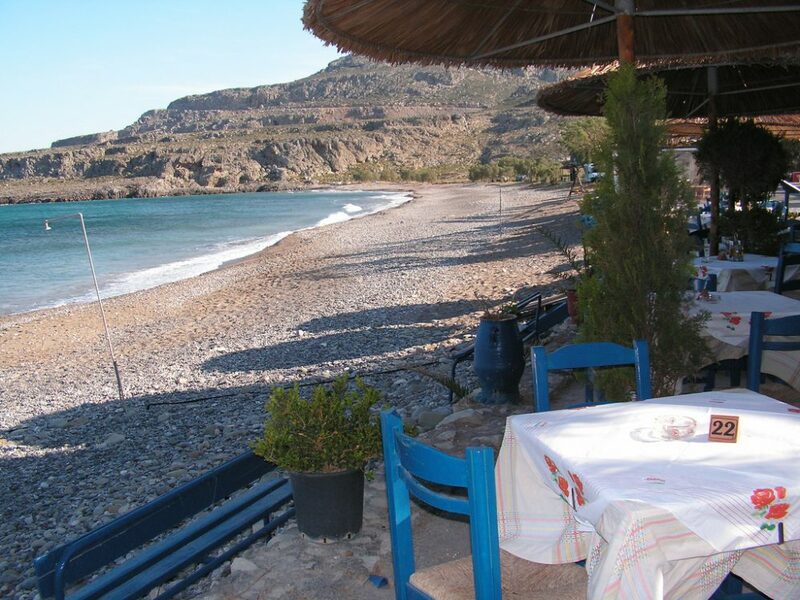 Tertsa beach lies in the homonymous small village, 21km west of Ierapetra. It is primarily a place for those seeking for peaceful holiday, plus Tertsa is a top destination for naturists / nudist-friendly. Secluded or not, Crete has over 350 beaches. 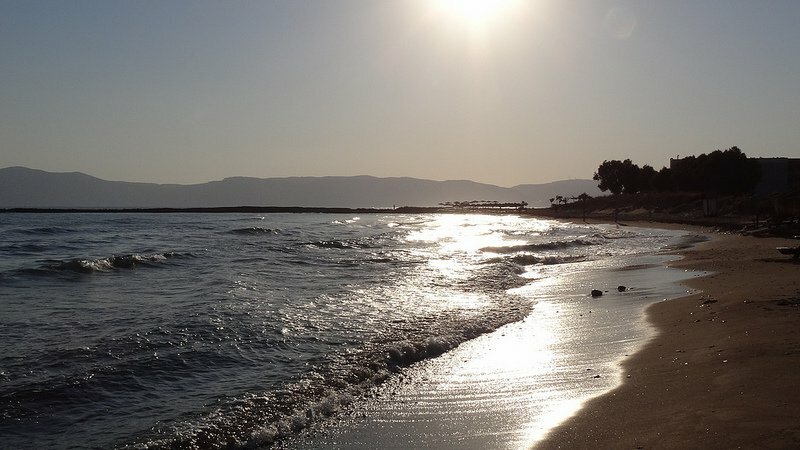 We-love-crete.com website offers a different approach with Beaches in the Sun.